The overwhelming reason that I am thin is because my genetic code decided that it would be so. I inherited my body size and shape from my mother. We are the same height, with the same small bones, long fingernails, and body shape and size. Another reason that I am thin is likely due to my socio-economic privilege. Because I was born to educated, upper-middle class, white parents, I had access to many resources. These resources include nutritious food, safe places to play, and quality healthcare and education. My mother’s pregnancy and how I was raised during my first few years likely also contributed to the programming that determined I was going to grow into a thin adult. Part 2: Why I actually decided to become a dietitian. I usually tell people that I decided to become a dietitian because I love food, science and working with people. This is all true, but it’s not the whole story. At the time, I believed this meant low fat foods, for this was the diet craze of the 1990s. I began to shun all dietary fat. I ate bagels without the cream cheese. I switched our family to skim milk. I avoided nuts and avocados. I asked my parents to buy fat-free Snackwells cookies, fat-free Cool Whip and fat-free Yoplait yogurt. I begged my dad to leave the oil out of our homemade bread. I also didn’t go through puberty. (Spoiler alert: this was the real reason I maintained my thin, child-like body all those years.) When my worried mother finally took me to the doctor, we found out that I had a (presumably unrelated) condition that was preventing me from going through puberty. I was put on medication and voila! Puberty arrived. I gained weight. It was normal. It was natural. It was inevitable. There wasn’t a darn thing I could do about it. Perhaps surprisingly, this transition enabled me to become more relaxed about my eating. Without anyone explicitly telling me (although that would have been nice), I realized that it was not my job to try to manage my weight. I couldn’t control it. I just needed to accept my size and respect my body. Nevertheless, my obsession with ‘healthy eating’ during my tween years led me to believe that it would be a good idea to study nutrition in college and become a dietitian. So that’s exactly what I did. Luckily, I have maintained the relaxed, balanced approach towards eating that I returned to after puberty. I eat plenty of full-fat foods and enjoy them without fear or regret. I feel very fortunate that my disordered eating habits did not develop into a full-blown eating disorder. I thank my parents for instilling a relaxed, intuitive approach to eating in me from a young age. I blame a diet- and thinness-obsessed culture for temporarily leading me astray. And I recognize that my thin privilege made it easier for me to bounce back, reject dieting and accept my body. Part 3: Everything I thought I knew about weight management was bunk. In school (while studying to become a dietitian), I was taught that weight management was a matter of personal responsibility. I was taught that diets don’t work, but lifestyle changes do. I was led to believe that if everyone would just eat fruits and vegetables and exercise, then we would all be thin. I now know that this is a load of crap. Healthy lifestyle habits may support health, but they do not guarantee thinness. But, at the time that I learned this misleading information, I was young, impressionable and naïve. 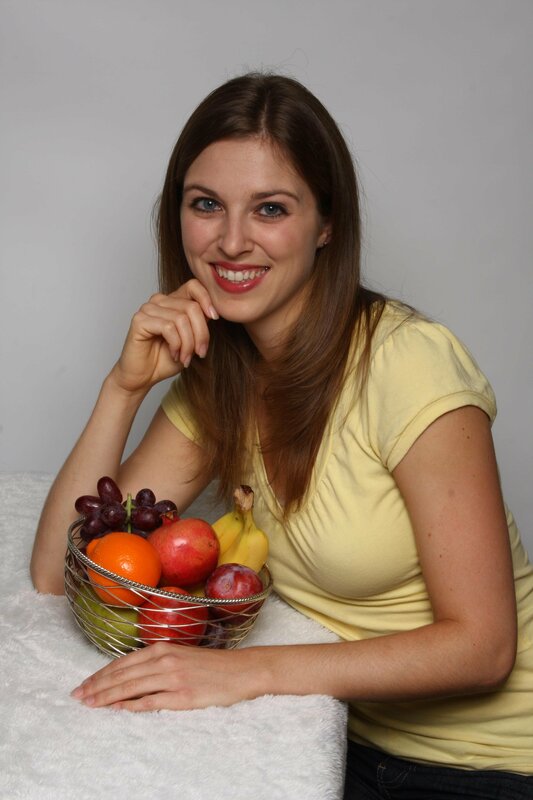 When I became a dietitian, one of my first jobs was with a medical weight management program. There, I was taught that weight management is simply a matter of calories in versus calories out. Eat 500 fewer calories than you burn; lose a pound per week, I was told. The best way to do this, my employer insisted, is to encourage patients to count calories and micromanage their food and activity. Never mind that this behavior might be considered disordered if performed by a thin person. Most of the participants lost weight and fought mercilessly as they inevitably regained it. I now understand that this is because the body is designed to protect its set-point weight range and defend against starvation. I am so sorry that I led anyone down this path that made things worse instead of better. And to the clients that I taught not to diet, but to embrace healthy lifestyle changes, I am also sorry. I still dangled the promise of weight loss in front of you, rather than helping you to respect your body at any size. I wish I had known better. In 2010, I read Dr. Linda Bacon’s book, Health at Every Size. It resonated with me, but I lacked the confidence and courage to go against ‘conventional wisdom.’ It wasn’t until two years ago, in 2015, that I finally felt ready to embrace this approach wholeheartedly. For this I thank Linda Bacon, Sandra Aamodt, Evelyn Tribole, Elyse Resch, Dawn Clifford, Michelle Neiman-Morris, and all of the members of the Association for Size Diversity and Health. I plan to spend the rest of my career making amends with a compassionate, socially-just, Health at Every Size® approach to nutrition. Posted on April 6, 2017 at 9:00 am in ASDAH	| RSS feed You can	trackback	from your own site.